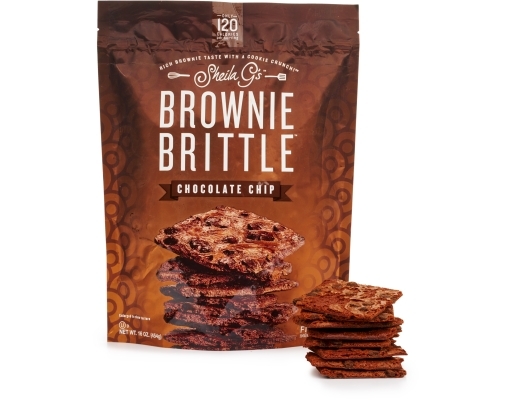 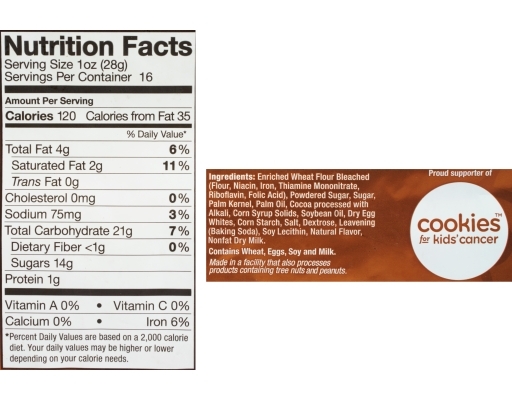 One bite of the famous #1 selling flavored Chocolate Chip Brownie Brittle and you'll be amazed at how a mountain of chocolate goodness gets squeezed into a wafer-thin snack. 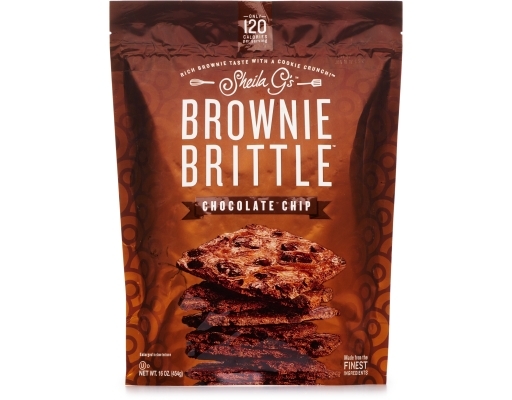 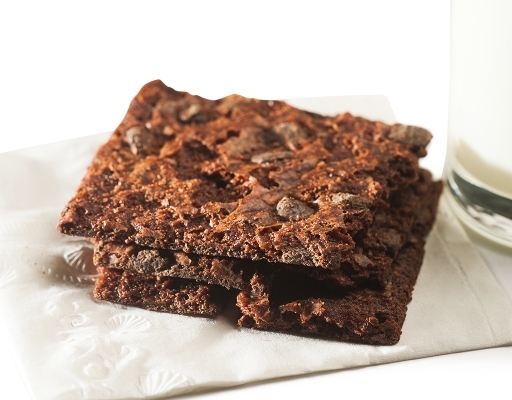 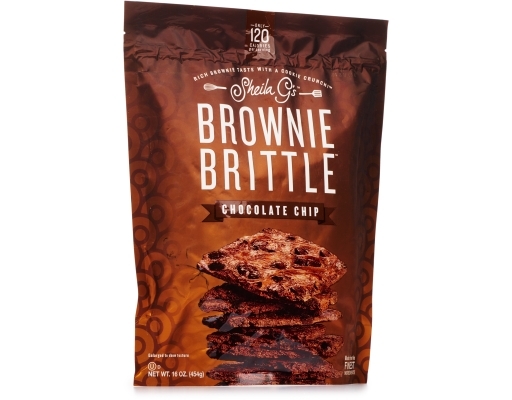 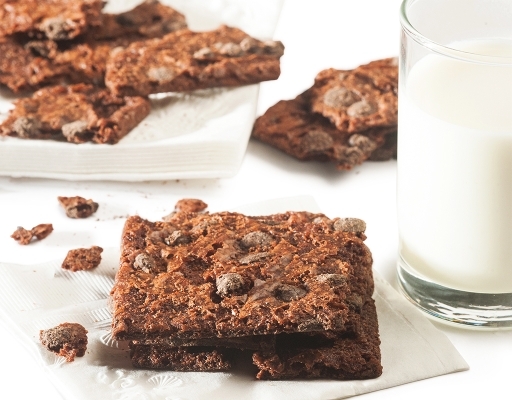 If you like brownies, you'll love this chocolate chip Brownie Brittle. 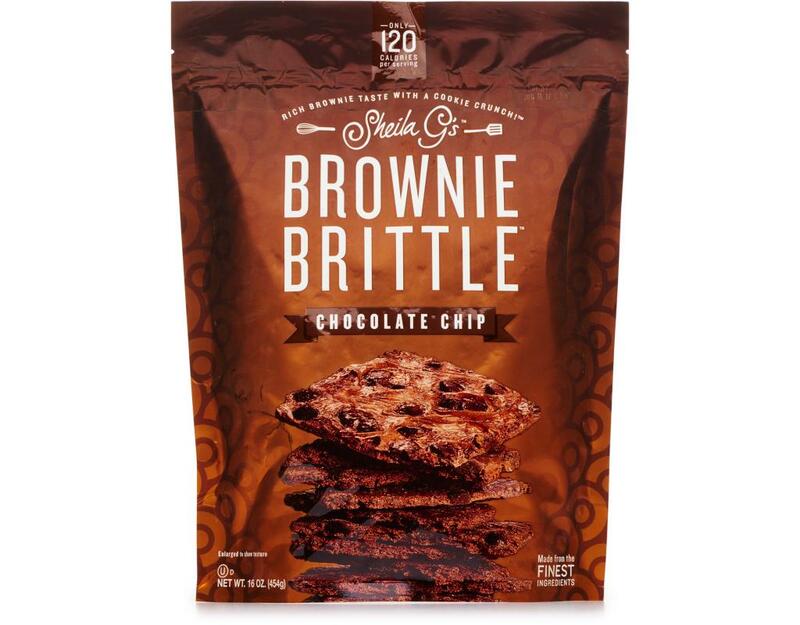 Like the crispy edge of a gourmet brownie, Sheila G’s Brownie Brittle satisfies your chocolate desires with fewer calories than other sweet snacks. 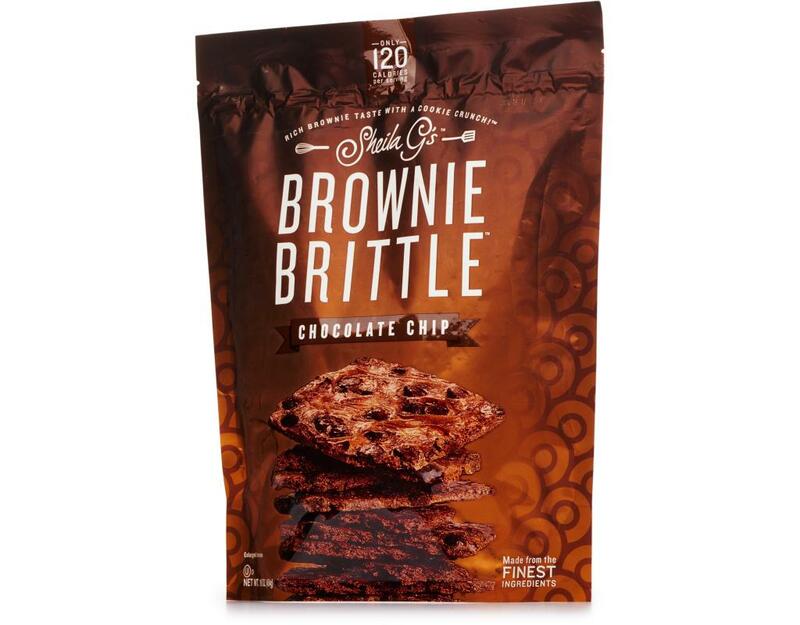 So, crave away with these rich pieces of chocolate decadence you can feel good about. 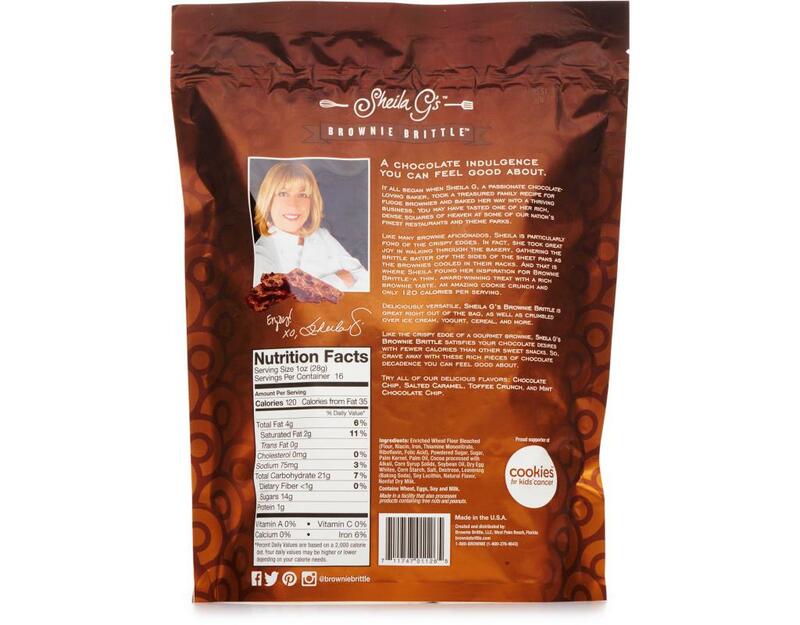 Try a bag today!